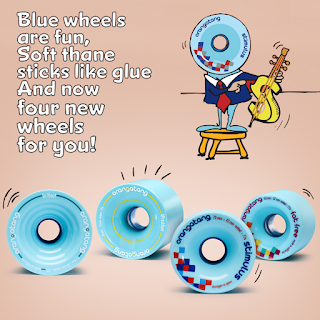 Announcing the expansion of the blue 77a urethane to the Orangatang longboard wheels lineup. A softer version of a best-selling all-arounder. Great for carving buttery lines, ripping around town, smooth n' grippy dancing, and tagging the hill with thane lines. Once again, this blue 77a formula is the smoothest, fluffiest, grippiest, most thane-line-leaving urethane in Orangatang’s history.